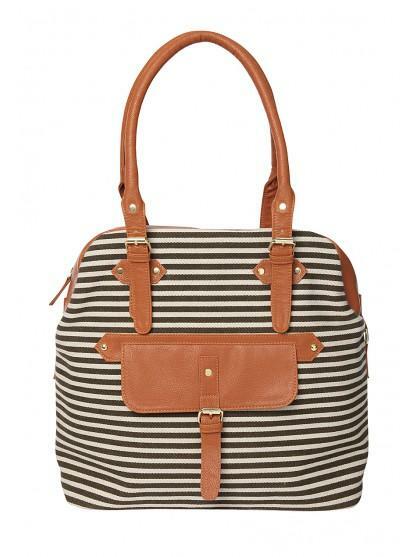 Womens striped shoulder bag with tan detail. 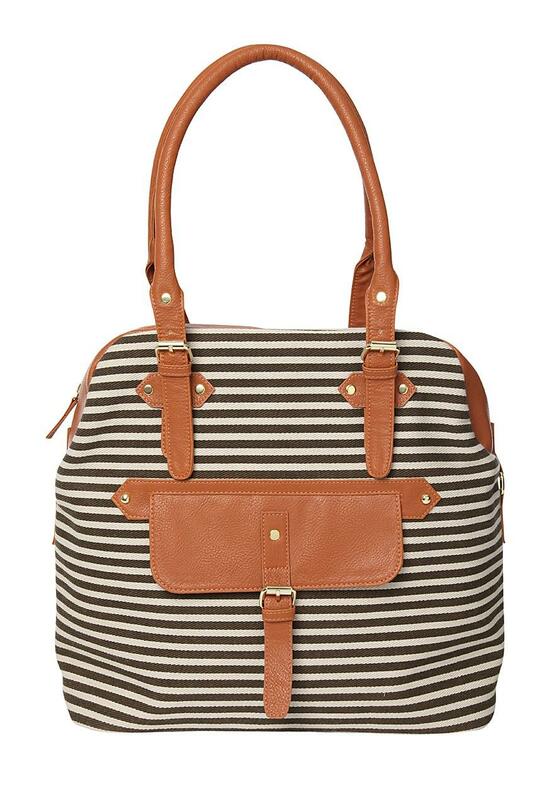 This bag is ideal for those who like to fill their bags. With front pocket with buckle, inside zip pocket inside, mobile phone pocket and extra pocket means everything can be kept in order.